Mario Tennis Aces is finally out, bringing Mario Tennis fans back to the court once more for some singles and doubles action with everyone's favorite Super Mario heroes and villains. If you haven't played the series since its N64 days, you'll find Mario's take on tennis has changed quite a bit. 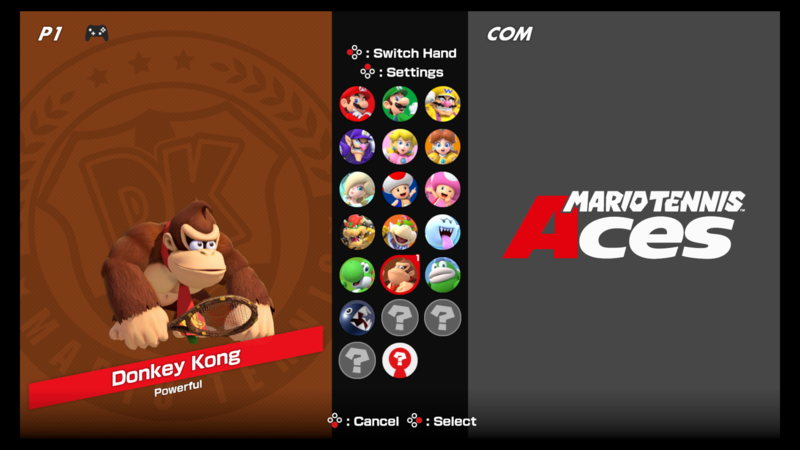 For one, some new characters have been added into Mario Tennis Aces' roster, and several classic staples are expected later in the year as free DLC. However, unlike previous Mario Tennis installment, Mario Tennis Aces gives you every single character as soon as you hop into the main menu. There's 16 characters in total for players to choose from on Day 1, with each separated by different play styles that range from All-Around expertise to Tricky athletes that can easily fake out their opponents on the court. So if you're considering buying Mario Tennis Aces and want to know what to expect, here's every character confirmed for the game. 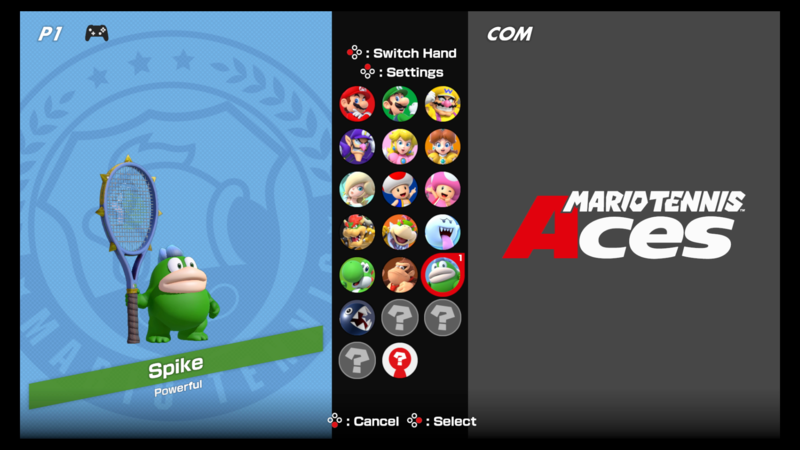 Listed below is all 16 playable character available at launch for Mario Tennis Aces. Players can go head-to-head with their friends at any time with the full roster, so there's no need to worry about unlocking new tennis stars through the game's single-player Adventure Mode. Before we break down each playable character, though, you'll want to know the difference between Mario Tennis Aces' six play styles. All-Around characters are well-rounded and have no specific expertise. They're fast, hit decent shots, and are fairly agile when it comes to things like Trick Shots. Mario is an All-Around character and a perfect one for beginners and veterans alike. Defensive play styles emphasize blocking and countering powerful shots, and each of these characters use their agile limbs to defend their court and serve back a decent offensive attack against their opposing player or duo. Fan-favorite Waluigi is a Defensive character. Powerful characters are buff, heavy hitters that deal lightning-fast shots. These characters rely on sending the ball flying against their opponents, leaving the other player unable to recover or block the ball. Bowser is a good example. Speedy playable characters are (obviously) the fastest in the game. These characters can quickly dart across the court and nail their opponents' shots, especially when it comes to Tricky characters sending their slices all over the court. Yoshi is a good example of a Speedy character. Technical tennis players are great at handling the ball and controlling where it goes. 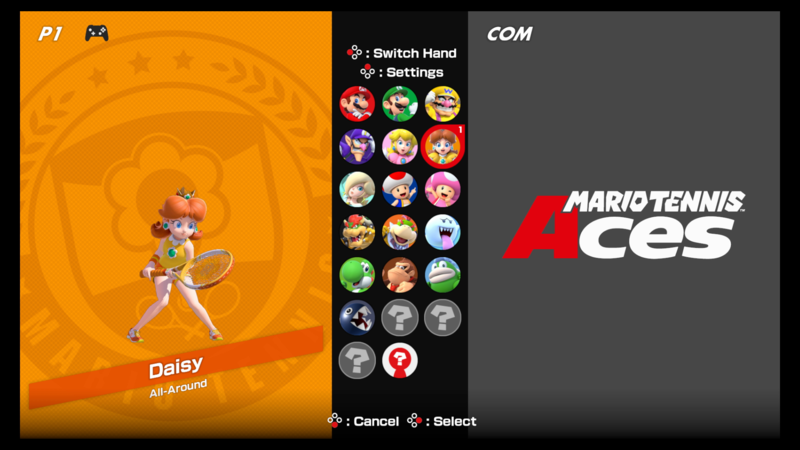 Characters like Peach can quickly move around the court and nail tight shots by precisely aiming the ball so it lands just a little too far away from their opponents to reach it. Tricky characters have a tendency to send their balls flying where players least expect. Every shot curves a little bit with Tricky playable characters, making these tennis opponents hard to counter. Boo is one example of a Tricky opponent available from Day 1. Listed below is every playable character available in Mario Tennis Aces. 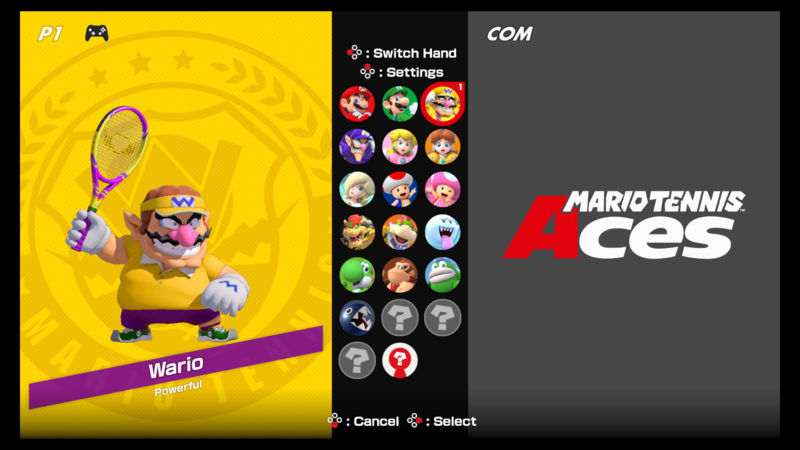 Mario is an All-Around character, and players who participated in the game's online tournament demo can also use his classic outfit during play. Luigi is an All-Around character. Wario is a Powerful character. Daisy is an All-Around character. Peach is a Technical character. Waluigi is a Defensive character. Rosalina is a Tricky character. 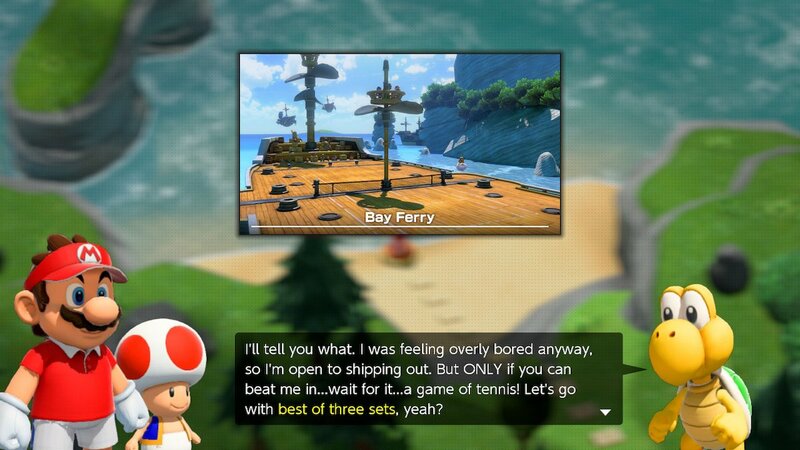 Toad is a Speedy character. Toadette is a Technical character. Boo is a Tricky character. 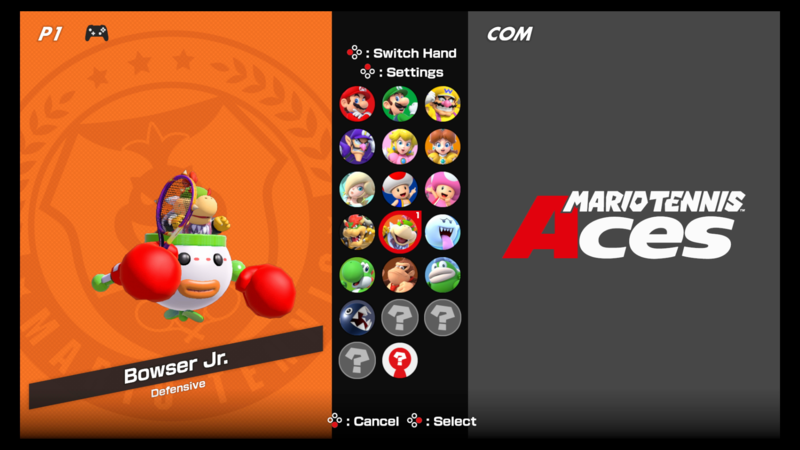 Bowser Jr. is a Defensive character. 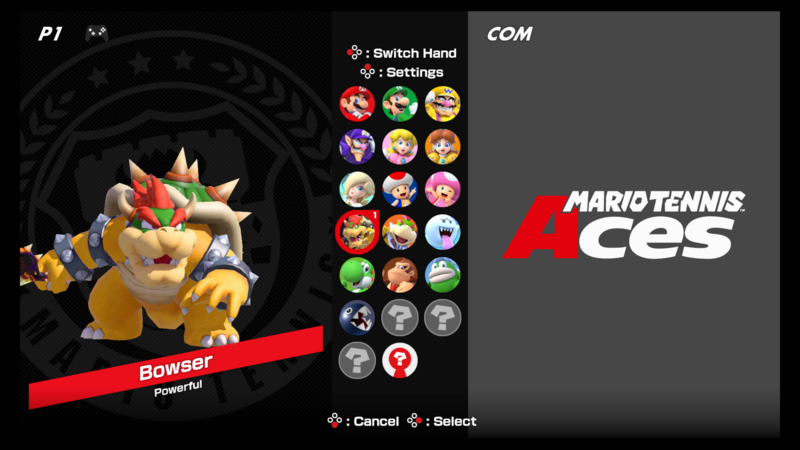 Bowser is a Powerful character. Yoshi is a Speedy character. Donkey Kong is a Powerful character. Spike is a Powerful character. Chain Chomp is a Powerful character. Alongside Mario Tennis Aces' 16 starting characters, more options are coming after launch as monthly free DLC options. These include previous Mario Tennis favorites Birdo and Koopa Trooper, and new characters will start arriving as soon as July 2018. Here's every confirmed upcoming character along with their play style. Koopa Troopa is a Speedy character planned for July. Blooper is a Tricky character planned for August. The following characters have no release date nor play style announced yet but are each planned for sometime after September. 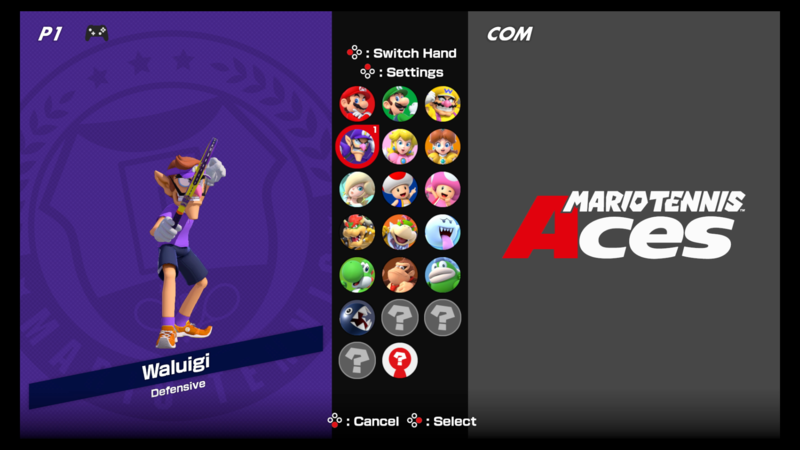 The following Super Mario characters appear in Mario Tennis Aces as opponents in Adventure Mode, and while they haven't necessarily been confirmed to appear in the game, Nintendo may turn them into playable characters after the current free DLC batch is out. Here's every AI character potentially available as DLC, listed below. While Mario Tennis Aces doesn't feature a single-player unlock system, there is one way to unlock player characters early in the game. 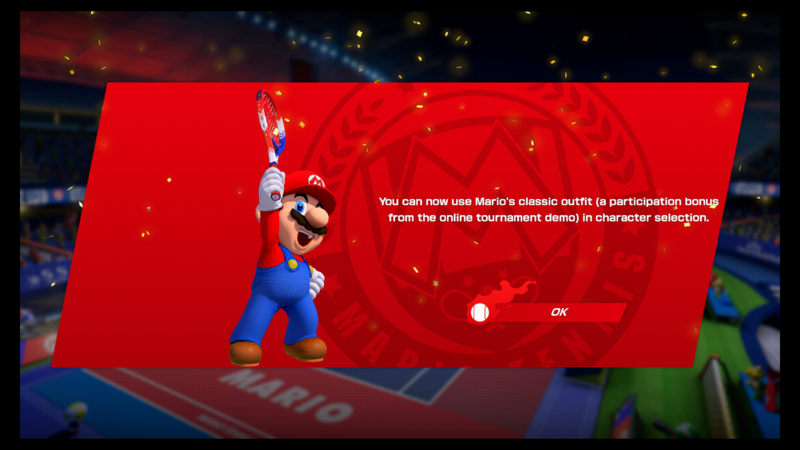 Players who join Mario Tennis Aces' online tournaments can receive each month's free DLC character before release if they earn enough points while playing matches. 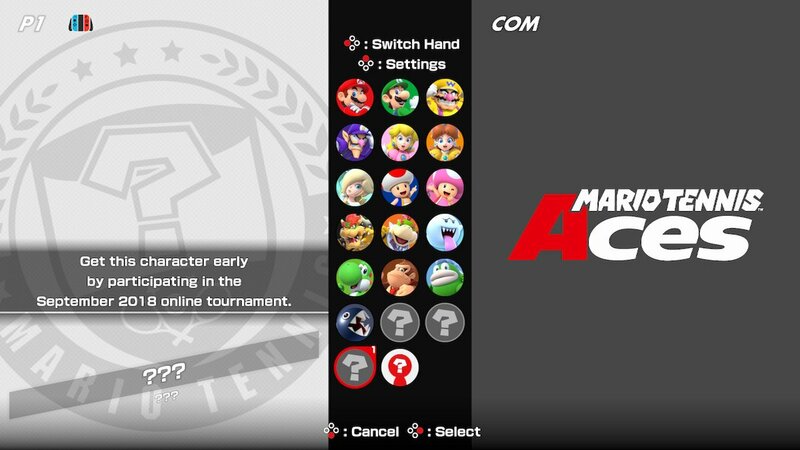 Online tournaments are held once per month, and anyone who owns Mario Tennis Aces can participate. Of course, if you're not much of a competitive player, you can always wait for each free DLC addition to drop during the month. 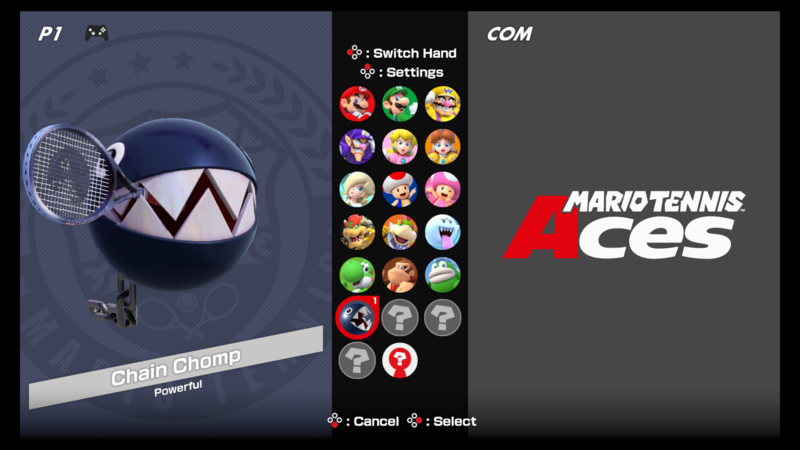 The first Mario Tennis Aces online tournament is set for July, and players who score enough points can unlock the Koopa Troopa early. Two other character unlocks are also planned for August and September. Adam Newell contributed to this piece.